When we began this business back in 1988, we wanted to do much more than provide outstanding research – we wanted our research to dig deep to uncover the insights that lie within the results. 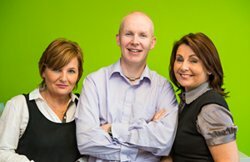 To do that, we knew we needed to ensure our staff were amongst the best in the industry. Today, we are one of the largest independent research agencies around. Our success is due to the quality of our staff, who continuously provide excellent research so that our clients gain the insight to deliver what their customers need and want. We combine technical knowledge and skills with outstanding customer service to deliver value and insight. From our base in Birmingham we work across the UK, and more recently Australia, in sectors as diverse as employee engagement, health, policing, children and young people, to brand evaluations, customer satisfaction and reputation research and numerous B2B segments. You’ll find this passion for excellence extends to throughout our team. It creates the kind of energy and integrity essential in our line of work. Integrity underpins everything we do. 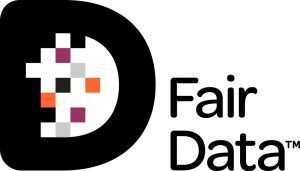 Fair Data is a quality process standard developed by the Market Research Society (MRS) which is awarded to organisations that meet the Fair Data principles. The Fair Data mark shows which companies handle their customers’ personal data fairly. A Fair Data company must meet the 10 Fair Data principles. By engaging with organisations that carry the Fair Data mark, customers can be assured that their personal data will be treated with respect, and only used for purposes which customers agree to and will be collected and retained in a transparent, legal and ethical manner. All of which should tell you that when it comes to research, we are serious about excellence and inspired to deliver it to our clients to drive their value and competitiveness.